Seventh Generation Chlorine-Free Diapers offer soft, cloth-like comfort and feature stretchy leg gathers and closure tabs. In addition to keeping baby dry and reducing the risk of diaper rash, the absorbent polymer in these diapers is non-toxic and non-irritating to baby's sensitive skin. Seventh Generation Chlorine-Free Diapers are made with your baby and your environment in mind. The chlorine-free materials and absorbent polymers used in the diapers help keep your baby dry in between changes and through the night. In addition to being effective at keeping baby dry and reducing the risk of diaper rash, studies show that the absorbent polymer used in the diapers is non-toxic and non-irritating to baby's sensitive skin. Hypo-allergenic and offering soft, cloth-like comfort and premium absorbency, these diapers are made of chlorine-free absorbent materials that do not contribute to dioxin pollution. They feature super-stretchy resealable closure tabs and super-stretchy leg gathers that work to provide your baby with a comfortable, safe, close-fitting thin diaper. "The wood pulp used in our diapers has not been processed with chemicals containing chlorine. This prevents dangerous chlorinated toxins from being released into the environment through the pulp production process. If every household in the U.S. with babies replaced just one package of diapers processed with chemicals containing chlorine with our chlorine free diapers, we could prevent 2,800 lbs of chlorinated hydrocarbons from polluting our air, lakes and streams. Your choice of our chlorine free products can help reduce the amount of chlorinated toxins released into the environment and help make the world a healthier place for your family and generations to come. Seventh Generation offers a complete line of natural household products designed to work as well as their traditional counterparts, but use renewable, non-toxic, and phosphate-free ingredients as often as possible, and are never tested on animals. Seventh Generation products are healthy and safe for the air, the surfaces, the pets, and the people in your home--and for the environment outside of it. Every time you use Seventh Generation products you make a difference by saving natural resources, keeping toxic chemicals out of the environment, and making the world a safer place for this and the next seven generations. Your baby is growing up fast and you know what that means&#8212;time to graduate from Seventh Generation's Chlorine-Free Diapers to our new Chlorine-Free Training Pants. Our training pants offer the same soft, cloth-like comfort and excellent performance of our diapers, while also featuring inner leak barriers for superior leakage protection and stretchy side panels for better fit. While I respect and approve of Seventh Generation's business philosophy (and use and love many of their other products), I was not pleased with the 4T-5T pull-ups. Compared to other brands, this line seems to run small, and because of that, did not fit my child well. It did not fully cover his bottom, even though other brands in 4T-5T covered completely with no problem. My daughter is 2 1/2 and only used a pull-up/trainer pant at night. Usually she awoke dry, so I couldn't honestly say whether or not they leak as a general rule. She had wet a few times at night and her pajamas were typically dry in the morning. We have had probably 2 mornings with wet pajamas. Her skin has not reacted negatively so the lack of chlorination agrees with her. As for the size-she's about 37 inches tall and just under 30 pounds (on the skinny side) and I think that these seem to run a bit small. The 3T-4T size fits her perfectly (you would think they should be too big). Wish I had bought these sooner! I have almost three-year old twins. One is potty trained, the other not yet. Both are wearing pull-ups at night. These hold up great overnight, there's no weird chemical smell, they feel better, and best of all, no characters on them! Safer for sensitive skin, no chlorine and less expensive too! I bought this product to see if it would help my older twin son with his eczema- it works nicely! (no more hives in hot weather around his pull up!) Pleasant side benefit is that I can get one case of pull ups for both of my twins-- one has a puppy belly and the other one is very slender waisted- and they fit well! (as with all pull-ups, you should tug them up snug and push them to the body between the legs so there is less chance for mess, and remember to "tuck down" if you have a boy!! We also find that a pair of shorts helps to keep any pull-up from sagging due to playing, thus reducing "unpleasant surprises".) Another reason we keep buying these is that we can use them overnight without problems-- and my older twin has a tanker-bladder! We put them down at 8pm and as long as I am up with them by 7:30, they rarely have a problem. The only thing that would make these training pants any better is if they had an adjustable and peel away side... this would also make it easier for changing on the go in bathrooms without a changing station. I have been using the seventh generation products and they are just awesome. I highly recommend them. The BEST training pants I have tried!!! I love these training pants. They seem to be less cardboard like than the Pull Ups, and there is no ink to transfer to little legs that have just been lotioned up. (I thought at first my kids had bruises on their inner thighs (and freaked out) w/the Huggies diapers, and I figured out it was ink at the next bath). I have 2 year old "step-twins" (11 days apart), a boy and a girl, and they work very well on both. No blow outs to date, and it has been about a month. 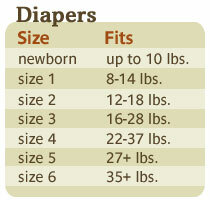 I am going to go up a size, from 2t-3t to the 3t-4t, though. They were wearing a size 6 diaper, so I think that will be a better option. 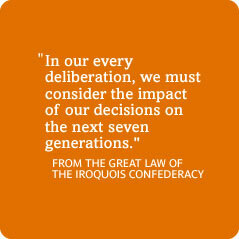 I like to use Seventh Generation when possible. The only problem I have with these particular training pants is that they don't have side open/closure tabs. You can tear the sides to get the training pant off but then I have to remove shoes and pants to get a new training pant back on. OK at home but no so great in a public restroom. I decided to try the Seventh Generation training pants for night time use. Two of my sons still need training pants at night and one would wake up soaked each night. I thought I'd try this brand. The Seventh Generation product is much more absorbent than the other brands I have tried. They also smell better somehow. When my son wakes up his training pants don't smell like they used to. Although they are more expensive when you figure price per training pant, I don't go through as many as I did with other brands since he lasts through the night with just one. I think the sizing had to do with the shape of the child. I strictly used the weight guide and have found these to run larger than other brands. One of my kids has a rounder tush and would often need a bigger size training pant. I didn't have to do that with Seventh Generation because they are cut better for him. My oldest son is weighs more than the weight range I purchased. He has no tush or tummy and he fit just fine in a smaller size. Again, I was not able to do this with other brands. I don't mind not having resealable sides. The pants are easy to get in and out of for potty use. They also don't tear as easily as other brands. I don't have as many wasted diapers this way. I order these exclusively online as I can't find them in large enough quantities in the store. I've bought from several online sites and the price is usually about the same. Manufacturing defect: fall apart before even used! These are a lot more substantial and better quality than other disposable training pants we have tried. They tend to hold the mess a lot better than some. Also, our daughter was liking the cartoon characters on the other trainers a bit too much. So we bought these "plain" brown ones, so that UNDERWEAR with cartoon characters would seem more attractive. I will NEVER buy another brand of training pants! These were really good, but they don't have velcro on the sides so all pants and shoes have to be off when putting these pull-ups on. Did they fit these to a cabbage patch doll?